In April 2016, a new legislation will come in to effect. It will become law that all dog owners in England and Scotland will have to have their dog microchipped by the time it is eight weeks old. A recent study commissioned by Pets at Home unveiled that almost three quarters of pet owners are not aware of this new ruling. 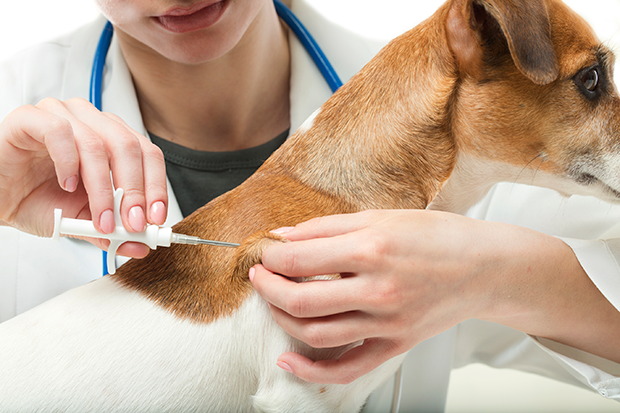 One in four people still haven’t had their dog microchipped. Government figures revealed that more than 100,000 dogs are disowned or lost each year costing the taxpayer over £50m. There has also been a recent increase in dog theft. The legislation will be brought into effect on April 6 in the hope of cutting the ever increasing rise in stray dogs, ease the burden on local authorities and animal charities and help to trace any dogs that have been stolen. Those who do not comply could face fines of up to £500. Dog owners also need to be aware that they are responsible for ensuring details are updated on the chip if they move house – the details on the chip links the dog to their owner’s name and address. A legal loophole might be closed which could see owners being protected from prosecution over an attack on private land. What is microchipping? It involves a small chip, the size of a grain of rice, being inserted between the shoulder blades of a dog using a sterile needle. It is similar to a standard vaccination so does not require them going under anaesthetic. The chip is bio-compatible glass and won’t be rejected by the dog’s body. As experts in animal law, we have seen a massive rise over the past year in cases involving animal neglect and welfare. Figures from the Department for Environment and Rural Affairs show that eight children and six adults have been killed in dog attacks since 2005, in the past year more than 3,000 postal workers have been attacked by out-of-control dogs, with 70% of these attacks happening on private property. We agree that micro chipping could help to prevent many dogs becoming stray or mistreated in anyway and urge all dog owners to get their dogs chipped as soon as possible.